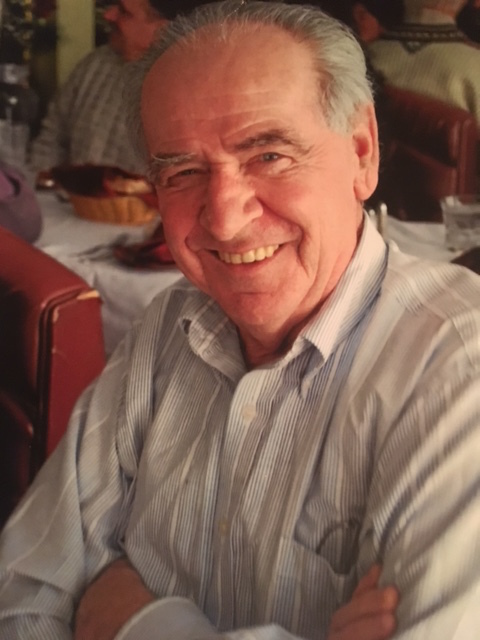 David C. Pearce, PhD., of Grey Squirrel Road passed away Wednesday, July 18, 2018 in Bedford, NH following a period of declining health. He was 83. Born on October 17, 1934 in Pottstown, PA, he was the son of Keith O. and Virginia (Carroll) Pearce. He grew up in eastern PA and northern NJ. He earned his undergraduate and master degrees at Newark College of Engineering (NCE) in Newark, NJ, and his Doctorate at Stevens Institute of Technology in Hoboken, NJ. While earning his degrees, he was employed as a professor at NCE. After earning his Doctorate, David was employed as a research Zinc Metallurgist with ASARCO in Plainfield, NJ, for many years. In later years, he returned to his teaching profession at Middlesex Community College in Edison, NJ. In retirement, he moved to North Woodstock, NH in 2003. He was a communicant of St. Joseph Church in Lincoln, NH where he served as Eucharistic Minister and Sacracist. He was an avid model railroader and was a member of the Ammonoosic Valley Railroad Club and was a conductor on the Hobo Railroad in North Woodstock. He leaves two daughters, Alice Pearce and husband Joel Bourassa of North Woodstock, NH and Peg Kingery and husband Jim of Moscow, ID; a son, David J. Pearce and wife Jane of Ocoee, FL; grandchildren Megan, Shannon, and Erin Pearce and Pearce, Carter and Corbin Bourassa; a brother, Bob Pearce of Columbia Falls, MT; and several nieces, nephews, grandnieces and grandnephews. A Memorial Mass will be held at 10am on Friday, July 27 at St. Joseph Church in Lincoln, NH. Rev. David Kneeland will officiate. Calling hours will be held from 6pm to 8pm on Thursday, July 26 at Fournier-Hale Funeral Home, 144 Main Street, North Woodstock, NH. Online guestbook is available at www.fournier-hale.com.